Mom Taxi Julie: Throwback Thursday and Run Streak Day 15! Tonight I did the #rwrunstreak day 15!! 15 days already! As I as running along (more than a mile tonight finally, I got out before it was freezing) I was thinking about the picture I had posted for Throwback Thursday on Instagram (momtaxijulie on there if you want to follow me). Sometimes I like to just scroll through my blog to find old pictures for that. It's kind of fun. Seeing pictures of the kids when they were little and reading about stuff from before. AND seeing how big I was. Holy moly. I tend to get hung up on little things on my body now. Like how my stomach is still out of proportion with the rest of my body. Sometimes it brings me down that I am up a couple pounds. 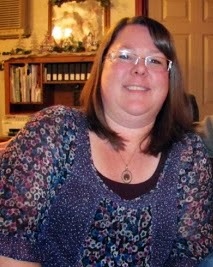 But when you look back and you see a picture of yourself at your heaviest weight it kind of all puts it in perspective. A little bit of belly? It's ok. I only have ONE chin now and I've found my neck. I can go to Target and buy clothes out of any section. I'm not going to hide behind my kids for Christmas pictures. If you would have told me that I was going to be able to run 13 miles or bike 62 miles or buy size 2 pants at Target I would have told you that you had the WRONG PERSON. I did not have confidence in myself. I had tried to do the couch to 5k program a couple times and gave up. I would start a "diet" and give up before the week was out. Actually at that point when that picture was taken, I remember my friend telling me that I should make one of my New Year's resolutions to lose weight and I told her I didn't want to. And I didn't. I didn't care. I was resigned to be that way. Miserable. I don't know what changed. My friend was constantly talking about "Lose It" and the calories in everything and then one day (March 5th) I logged in and I've never stopped. I know part of my success is due to my amazing support system. Friends online and off. You all motivate me to keep going. Posting what I'm going to do online keeps me accountable. Like this silly run streak. I SAID I was going to do it. I post it on my Facebook and Instagram EVERY DAY. Not to boast, but to keep myself accountable. Wow!! It really is such an amazing difference and the best is how much better if feels - emotionally and physically! You did the hard work!!! Congrats! Amazing!! You said exactly what I've been feeling lately too. It takes a lot of courage to post the before pix.. I hate to admit how I use to look with 50+ extra pounds. Its a great reminder and motivation that even if our bodies aren't perfect.. we've come a long way! Congrats on keeping going!! how many years have you kept the weight off? You have done so well, I'm immensely proud of you.